KEBS SMS Service complements the effort of identifying illegal use of KEBS quality marks through public participation using mobile phones via SMS services. It also enables the verification of details of inspection of a used motor vehicle imported into Kenya. It also enables the verification of KEBS staff particularly Quality Inspectors and Market Surveillance Officers who make industrial visits and goods outlets. This will minimize the possibility of impersonation of KEBS staff. Product: HAND SANITIZER LIQUID, Brand: SAFI, Firm: SPECTRA CHEMICALS (KENYA) LTD, SM Issue Date: 6/27/2017, Expiry Date: 5/15/2018, Status: Active. rinsun is the brand name. Product: SUNFLOWER OIL, Brand: RINSUN, Firm: KAPA OIL REFINERIES LTD, SM Issue Date: 2015-01-21, Expiry Date: 2016-02-15, Status: Permit is not valid. 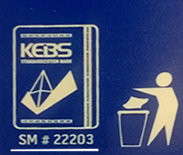 To verify KEBS staff details, text the staff HR NO as indicated in the staff ID to 20023.